Two of my brothers in Youth Apostles ran in the Marine Corps Marathon last month. I admire people who are motivated enough to accomplish such a monumental task. One of them shared with me an outline of the intense preparations he made for that day, which included an intense, well-formulated running schedule, dietary program and sleep regimen. It is hardly surprising that so much preparation is needed in order to run more than 26 miles in one morning. Christmas recalls a pivotal moment in the history of mankind and a fundamental mystery of faith in the life of every Christian. It makes sense that we as grateful Christians would make serious preparations for this monumental celebration of God's goodness and beauty. In order to truly celebrate the event of the Word-made-flesh, we must take time to prepare ourselves spiritually. This is one main purpose of Advent. John the Baptist was sent by God to help humanity prepare for the coming of the son of God to dwell among us. Both John's life and his message helped to prepare the way 2,000 years ago. His life and his message remain very helpful for our preparations today. John's life was marked by a powerful humility. As effective as his ministry was and as large as the crowds were that came to hear him speak, John never lost focus on his mission. He never got caught up in the notoriety or the importance of his ministry; rather, he took every opportunity possible to point people to Jesus and to state what was in his heart, "One mightier than I is coming after me. I am not worthy to stoop and loosen the thongs of his sandals." We can learn so much from John's humility and focus on his vocation. John's message was simple and direct. It helped that the people of God had been without a prophet for many years and that they were hungering for a refreshing, authoritative word from God. 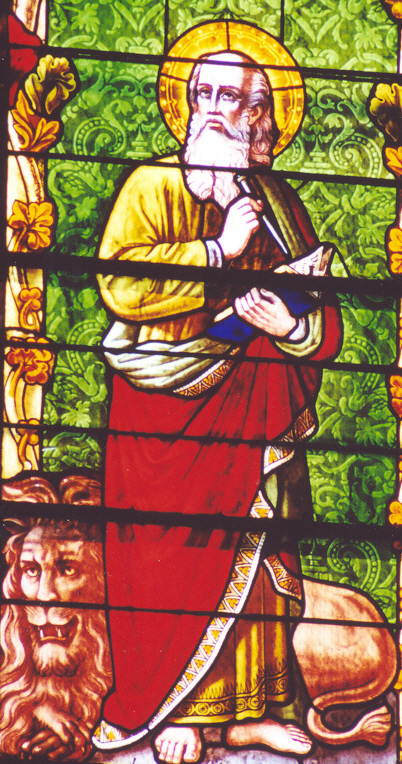 Mark the Evangelist said that John, "appeared in the desert proclaiming a baptism of repentance for the forgiveness of sins." God is making it clear that there is no welcoming of Christ into our hearts without an awareness that my life is not as it should be, that I have turned away from the Lord and wandered from the path to life. I have offended God and hurt myself and my neighbor. If I do not see this reality, then I do not need Jesus to come among us and set me free. The good news includes the fact that God is patient with us as we fumble our way on this journey back to Him. St. Peter teaches that God, "is patient with you, not wishing that any should perish but that all should come to repentance." God wants every one of us to return to Him and receive His life-giving mercy; He shudders at the thought of even one of us perishing because we fail to either recognize our need for reconciliation or His burning desire to extend it to us. One of the greatest graces in life is the sacrament of penance. It is a place where God speaks to us so tenderly, forgives us so generously and comforts us so warmly. Isaiah the prophet, inspired by the Holy Spirit, speaks of the grace of the sacrament: "Comfort, give comfort to my people, says your God. Speak tenderly to Jerusalem, and proclaim to her that her service is at an end, her guilt is expiated." As we prepare for Christmas and the coming of Christ, Healer and Redeemer, it makes sense to heed John's message of repentance. Make use of the great sacrament of penance this Advent. It also makes sense to imitate John's humility and his desire to bring others to Christ. Perhaps we can make a commitment this Advent to invite one friend or family member to join us for a prayerful event at our home or at our parish in order to help them to encounter Christ anew this Christmas. Finally, with all that we do this Advent in preparation for the coming of Christ, may we share in the mission of the Church, prophetically proclaimed by Isaiah: "Go up onto a high mountain, Zion, herald of glad tidings: cry out at the top of your voice, Jerusalem, herald of good news! Feat not to cry out and say to the cities of Judah; Here is your God! Here comes with power the Lord God, who rules with his strong arm."